“Pow!” A roasting chestnut exploded right as I walked by, throwing white bits of shredded nut skyward. Startled, I stumbled back in astonishment, my mind spinning in an attempt to comprehend what had just happened. Dusting myself off, my face reddened as I hurried on along my way, noting to myself that a walk down the street in Bangkok, the colorful capital of the Kingdom of Thailand can be quite the experience, and one that on occasion requires quick reflexes to dodge the occasional errant flying foodstuffs. My travels around the world have taken me to the capital of the “Land of Smiles” twice already, once in January 2011 and again in January 2013, and each time I was blown away by this thriving metropolis. 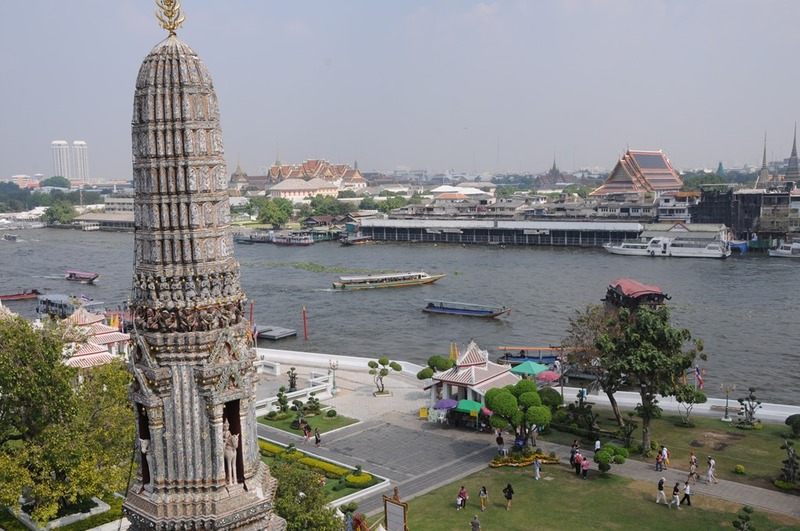 Let me tell you thing…exploring Bangkok is not necessarily for the faint-hearted. It can get very hot and humid in the city notorious as the setting for ‘Hangover 2.’ The cacophony of noises, sights, and smells can overwhelm many, and the city is as more crowded than most westerners will be used to. But for those like myself seeking adventure, this is one of the world’s greatest cities to do it in, and Bangkok does not disappoint in terms of experiences. So, without further ado, here is my own personal list of the top seven experiences that must be had in Bangkok!